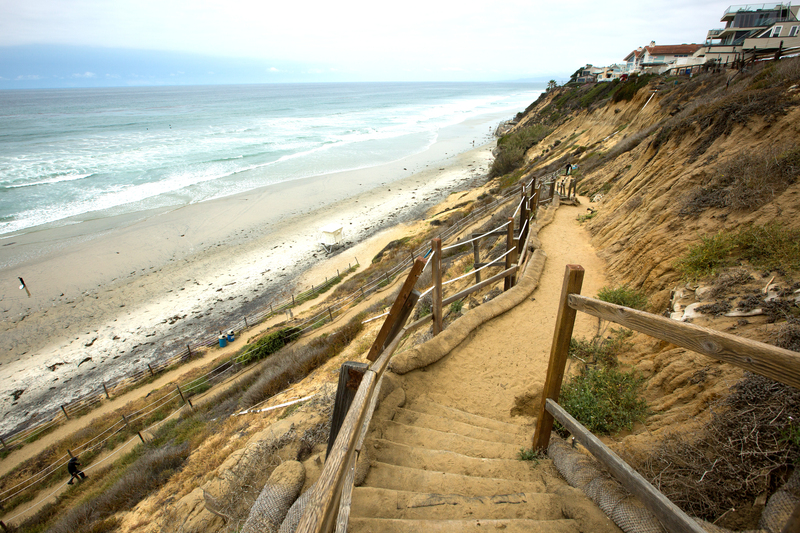 ENCINITAS — A key environmental group has given the city its blessing for a controversial staircase project at Beacon’s Beach, a decision lambasted by project opponents. The city’s proposal to build a large, concrete staircase to supplement, and ultimately replace, the iconic switchback staircase beach visitors currently use has drawn heavy criticism from a group of residents. The group believes the proposal will foul the beach’s natural beauty, compromise beach availability, block lifeguard tower views, obstruct scenic views and make the beach less safe for families. Some have likened the addition of a concrete staircase to Los Angeles’ transformation of the L.A. River into a concrete culvert. Opponents, who call themselves “Preserve Beacon’s,” have mounted a petition drive and collected more than 500 signatures since late June, and expect a large crowd to protest the project at this week’s Planning Commission meeting on July 19, where commissioners are expected to decide the project’s fate. 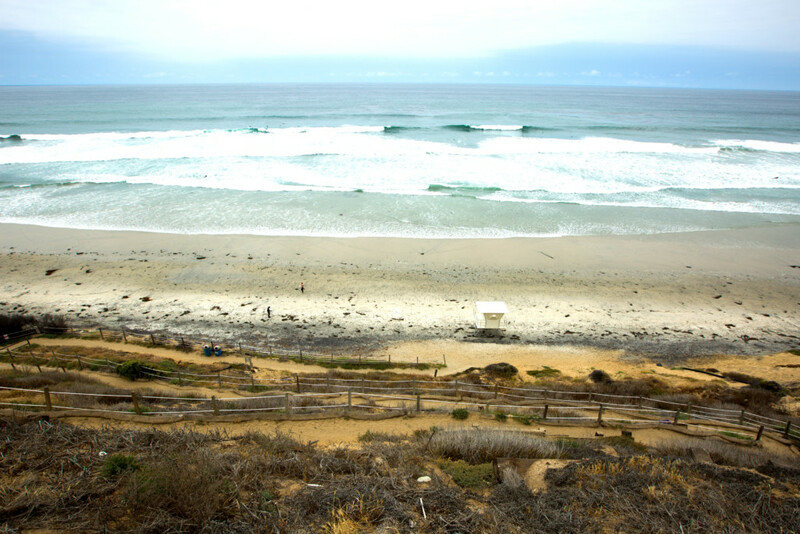 The Surfrider Foundation’s San Diego Chapter, which was waiting to weigh in on the project until it spoke to the city and project opponents, weighed in on the project in a letter sent July 16 to the city. 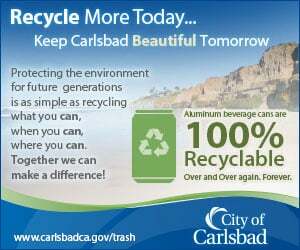 Surfrider’s endorsement of the project is critical as opponents argued that the city falsely claimed that the organization had previously given the city the project’s blessing. Opponents cited an email exchange with Rick Wilson, a retired Surfrider staff scientist who served as interim policy manager while Chunn-Heer was on maternity leave. Wilson said that the agency advocated for a staircase that would blend with the topography and would have wooden stairs. Chunn-Heer last week said that the foundation in 2014 took a position supporting a staircase as opposed to the city’s then-preferred alternative, an erodible soil buttress, but said she wanted to hear from the city about the current plan before staking a position. In the letter dated July 16 to Planning Commission Chairman Glenn O’Grady, Chunn-Heer said that the city has to move urgently because of the rapid deterioration of the bluff, which compromises both the staircase and the parking lot. In the letter, she likens the situation to the popular block-moving game Jenga. “Speaking with locals about this issue, we have made the following analogy: The bluff and switchback trail are similar to a tower of Jenga blocks,” she wrote. “The block tower can remain standing even if many of the supporting blocks have been removed. However, the Jenga tower is so unstable all it needs is a very small disturbance in order to topple the entire thing. “With the bluff underneath the parking lot having a Factor of Safety of near 1, the Jenga Tower is teetering,” Chunn-Heer wrote. As it pertained to the opponents’ objections to the use of concrete instead of wood for the staircase, Chunn-Heer said after discussing it with city staff and analyzing the plans, the current proposal would have the “least visual and bluff impact” and have half of the number of support poles of a wooden staircase. She also said that precast concrete would shorten the construction time, which means less risk of losing access to Beacon’s in the event the bluff collapsed. Chunn-Heer, however, supported opponents’ requests that the city maintain the existing staircase as long as feasible, and include in its resolution to construct the new staircase a provision that the trail be maintained. Preserve Beacon’s member Ari Marsh, who has acted as a co-spokesman for the group with Peter Brately, criticized Surfrider for its support of the project. Marsh said the group’s position is that the project should be subject to a full environmental impact report, which he said would give a full scope of the impacts the project would have on the beach. City officials are pursuing an emergency exemption from the state environmental laws due to the bluff’s instability. “By supporting this project in this manner, they are failing to protect the very beach and bluff they are supposed to be advocating for,” Marsh wrote. I’ve been involved w/ Surfrider & a friend of Julia for a long time, and I have to say – where were all these people when the city proposed a 25-ft deep concrete seawall that would have not only marred Beacons, but ultimately done the beach in?! The beach access closed in both 2001 & 2005 due to landslides, something obviously needs to be done & there are no perfect solutions. It’s sad when Surfrider becomes a dirty word among locals just because they didn’t join this discussion sooner, or want to preserve their beach for a few years at expense of the next generation. I Say no to the staircase and get rid of the trail.. Let the bluff collapse into its natural state. No trail and no staircase = people are safe and no people destroying the environment. Seawalls do not “do the beach in,” because most of our sand supply has [should] come from the rivers and lagoons to the north. Unfortunately, jetties, roads, dams, etc. have choked off most of this littoral flow. Bluff erosion contributes only a small percentage of the sand, and it has the added complications of gradual retreat, which would eventually threaten properties on Neptune and the street itself.